World Premiere of Minnie Driver Movie on Stillbirth! “Return to Zero” World Premiere — Only 3 Days to Go! The momentum is building for the World Premiere of RETURN TO ZERO on LIFETIME this Saturday, May 17th at 8pm Eastern / 7pm Central! The press has been amazing! We’ve been featured on Ellen, Entertainment Tonight, the CBS Morning News, and you can tune in to see Minnie discuss RETURN TO ZERO on “The Talk” tomorrow! If you haven’t seen the RTZ trailer yet, you can find it on our website at www.returntozerothemovie.com. Even with all of the amazing publicity, we still need your help over the next 72 hours to get the word out about this important and silence-shattering film! This is an amazing moment for this community and we need your help with the final push! 5. Word of mouth – spread the word via phone calls, emails, talking to your friends, family, and even texting, etc., about RETURN TO ZERO premiere this weekend! There is no advertising more effective than word-of-mouth. Only 3 more days until we break the silence together! Let’s make every hour count! Break the Silence! Pledge to See “Return to Zero” in Theatres! 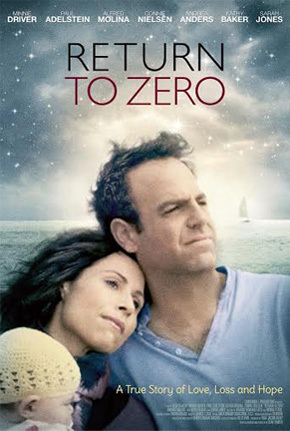 RETURN TO ZERO is the first film ever created with stillbirth as its central theme. We have an amazing cast (MINNIE DRIVER, PAUL ADELSTEIN, ALFRED MOLINA, CONNIE NIELSEN KATHY BAKER, ANDREA ANDERS and SARAH JONES) and have created a beautiful and touching film that will change how people view stillbirth and the effect it has on parents, relationships, families, and communities. Now we need this film to reach the largest audience possible–which is why we need your help! By PLEDGING to see RETURN TO ZERO in theaters opening weekend, when it shows in your community, you will prove to Hollywood that that there is an audience for a film about this difficult but important subject matter. We can do this–but only if we work together. 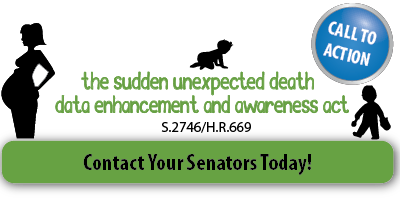 Let’s finally SHATTER THE SILENCE ONCE AND FOR ALL! Let’s DO this!! HOPE to see you at the theatre everyone! The Stillbirth Summit is a critical educational event that will address how 30,000 babies in the U.S. and more than 3.4 million babies worldwide die each year before they take their first breath. The event will raise awareness, rally families, push for more research, create prevention strategies in pregnancy care and seek to dramatically decrease the rate of this unnecessary tragedy. You are invited to join more than a dozen international researchers, hundreds of health professionals, parents and others, in Minneapolis on October 6-8, 2011 at the Crowne Plaza Airport-Mall of America, located at 3 Appletree Square, Bloomington, MN, 55425. If you cannot attend the Summit, you can buy a ticket to the live VIRTUAL VIDEO CONFERENCE that will document the conversations and outcomes. For more information, email info@starlegacyfoundation.org or visit their website at www.starlegacyfoundation.org.